When "mega-selling poet" Rod McKuen died at age 81 on January 29 of this year, the P&PC Office found itself at a complete and utter loss. What could we say in memoriam for the best-selling, critically-maligned poet and cat lover (pictured here) who published over thirty volumes, who wrote more than 1500 songs, and whose books, according to the Associated Press, sold more than 65 million copies—over one million in 1968 alone, when, according to the Huffington Post, McKuen also released four poetry collections, eight songbooks, the soundtracks to Miss Jean Brodie and A Boy Named Charlie Brown, and at least ten other albums? Born in a charity hospital, McKuen ran away from home at age eleven to escape an abusive alcoholic father. He did a lot of odd jobs and hung out with and read alongside the Beats in San Francisco. He appeared in three films. He won a Best Spoken Word Grammy for Lonesome Cities in 1968. He was endorsed by W.H. Auden, who said, "Rod McKuen's poems are love letters to the world, and I am happy that many of them came to me and found me out." At one point McKuen was on tour 280 days per year, and his songs—covered by the likes of Johnny Cash, Barbra Streisand, Madonna, Dolly Parton, and Frank Sinatra—have reportedly accounted for the sale of over 100 million albums worldwide and were twice nominated for Academy Awards. At a loss for how to justly and appropriately mark McKuen's passing and the significance of his career, P&PC thus stayed uncomfortably silent, but then we began to hear rumors on campus about psychology professor Erik Noftle (pictured on the right in the photo here). Word was that Noftle—who helped found Portland's community radio station XRAY FM and who every Friday night from 7:00-8:00 pm (Pacific Time) assumes the nom de guerre DJ Ed and hosts the disco radio show Discovery—was a fan of McKuen. Word was that Noftle had a collection of McKuen records. Word was that he owned forty of them, that he'd been carting them as he moved back and forth across the country for years (from Iowa to North Carolina, California, and Oregon), and that his collection is in fact still growing. What better way to remember McKuen, we thought, than by tracking Noftle down and separating rumor from fact—not by going to newspaper obituaries reporting on McKuen's death, but by finding out how America's "mega-selling poet" continues to live on. So we found Noftle and got him talking. 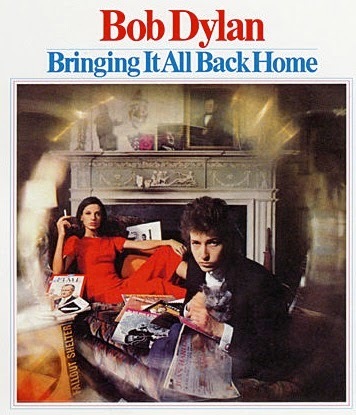 In addition to spectacularly recreating the cover of Bob Dylan's 1965 album Bringing It All Back Home with all McKuen-themed references and album covers (pictured above; the P&PC interns insisted we include the Dylan image, pictured here, for easy comparison), here's what Noftle had to say. P&PC: Um, do you really own forty Rod McKuen records? Noftle: Not quite—I'm at twenty-eight by my last count. But I think I only own more records by Bob Dylan, Miles Davis, and The Fall. P&PC: You realize that not many people would 'fess up to that, don't you? Noftle: Well, not too many people are in a position to boast of that fact. Then again, McKuen apparently released over 200 records (including at least 125 albums), so I need to remember to be more modest. My collection is still in its infancy, and there must be other people who could reasonably argue that I'm a neophyte. With so many albums he must be one of the top 100 best-selling U.S. recording artists of the twentieth century! But his onetime popularity has clearly waned. 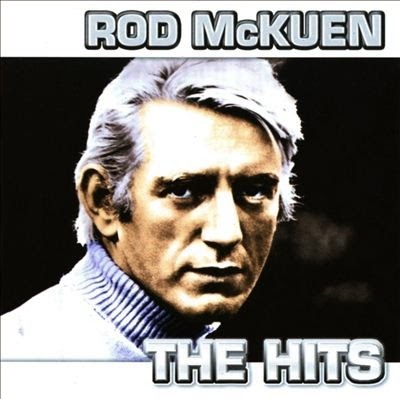 I checked iTunes recently and they have a couple dozen McKuen tracks but none of his albums. I don't think many have even appeared on cd. P&PC: So, how did your collection begin? 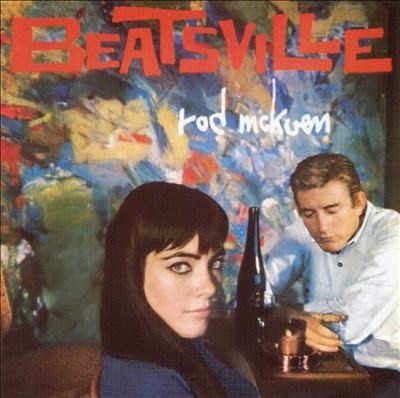 Noftle: I first was turned on (if that's the right word) to Rod McKuen through a friend and former housemate of mine in Davis, California: Tony. Tony's a record collector like myself and introduced me to lots of odd, obscure gems he'd find digging through record bins, often at charity-based thrift stores like Davis' SPCA. Tony moved to the Bay Area about a year later and I found myself wanting to hear McKuen again, and also hoping to play him for others. So I started being on the lookout for his albums when out on record-buying sprees. I found that once you were looking for them, McKuen records popped up a lot, and they usually were pretty cheap, ranging from about twenty-five cents to a few dollars. So I snapped them up when I found them, and I discovered he had a lot of records. Probably the largest contributor to my McKuen collection was K St. Records in Sacto (now on Broadway). But when I tried to play the records for other people I found that people weren't always so receptive. P&PC: When did you realize this was a long-term thing? Noftle: Over the next few years, I moved around a lot—to a different house in Davis, out to my post-doc in North Carolina, and back out to the west coast again when I got a faculty position in Oregon. This meant I moved my ever-increasing record collection multiple times and thus had the opportunity to reorganize it several times. I settled on a loose organization by genre—including a large rock section, a disco section, an old country section, a French section, a jazz section, and an experimental section, among others. Well, I also ended up with a Rod McKuen section. P&PC: And when did you realize you had a problem? Noftle: When I first brought home a McKuen album and found out I already owned it. That happened a few times, actually. I'd accumulated so many I couldn't remember which I owned. Sometimes they had vastly different cover art, but sometimes not. Also, as I learned more about his catalog, I became aware of albums that didn't show up regularly in the cheap bins of record stores—records that I became very curious about. 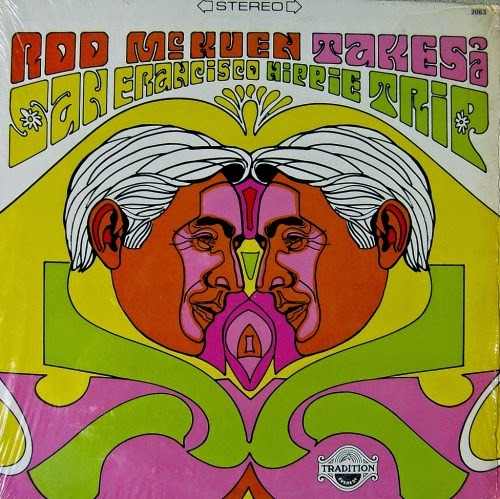 I ended up buying a couple online for $20 or so, including his gently satirical send-up of hippies, Rod McKuen Takes A San Francisco Hippie Trip (pictured above). I still haven't sought out Beatsville (pictured here), his earlier send-up of beat poets, a scene he was connected with to some extent. 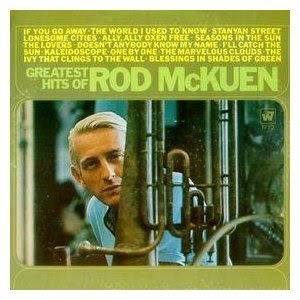 P&PC: Can you describe a typical Rod McKuen album for us? Noftle: Quite odd. I have a few of his classical albums, but my collection is mostly dedicated to his vocal work. His typical vocal album consists of a combination of his own spoken poetry with musical accompaniment, his own songs, and a cover or two—often a Jacques Brel song. He was the most prolific translator of Brel's songs into English and apparently spent a lot of time in Paris with Brel. 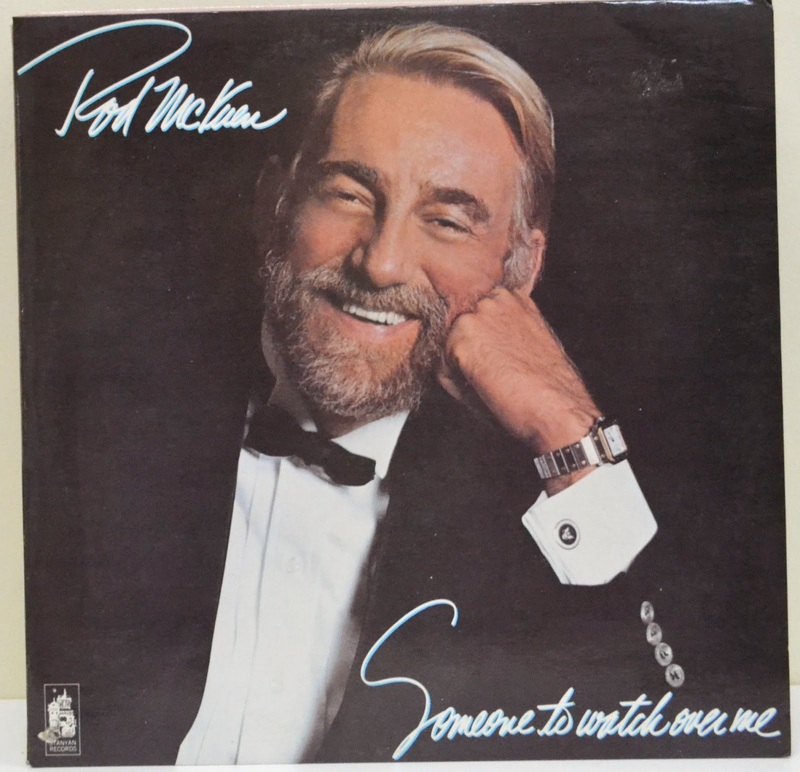 Across his catalog, perhaps the modal musical style is orchestral in the style of Sinatra or even Lawrence Welk, but McKuen covers a lot of ground; many backings are minimalist and range from jazz to country to folk to soft rock and even to a sort of easy listening-style disco. When he reads his poetry, his tone is typically a whisper or at least quite soft. When he sings, his voice is gentle and crooning but with a certain gruffness. I've never heard McKuen's vocal style repeated. It's as though he's somehow the offspring of Mister Rogers and Tom Waits. 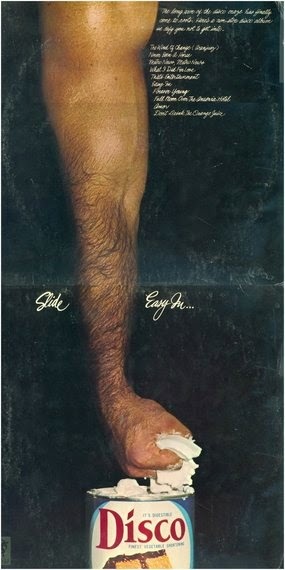 It's not really gravelly. It's more that it sounds husky and slightly strained. P&PC: Which one is your favorite? Noftle: I have at least two. One is Lonesome Cities from the late 60s (pictured above). It's a great mix of spoken word and songs, a few of which were tackled by Frank Sinatra on his McKuen covers album A Man Alone. 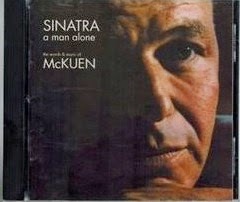 (Yes, you read that correctly—Sinatra did an album of McKuen covers [pictured here].) 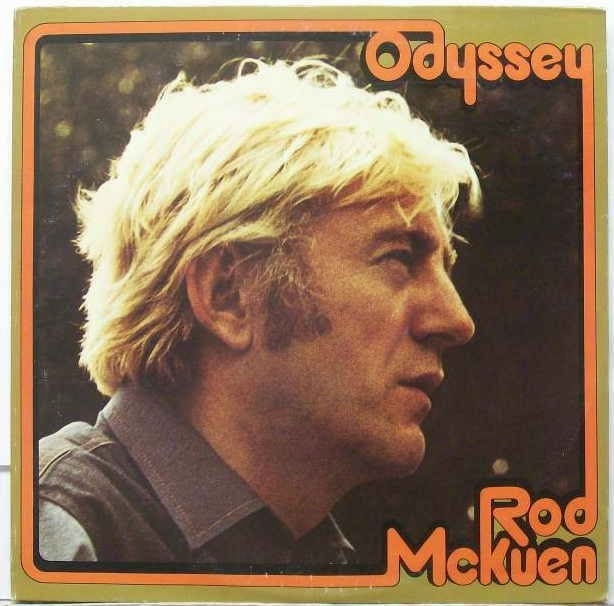 Another is Slide...Easy In, McKuen's disco-era album that includes a protest song called "Don't Drink the Orange Juice." This track is an enjoyable jab at Anita Bryant who was a spokesperson for Florida Orange Juice and outspoken against gay rights. McKuen resisted labels and as far as I know never came out as gay or bisexual but certainly was a lifelong advocate within and for the queer community. P&PC: What does your spouse think about all this? Noftle: Jess has predicted that one day I will come home and she'll tell me, "Oh no, honey, someone broke in to our house but all they stole was your Rod McKuen albums!" She clearly agrees that I'm sitting on quite a treasure trove. 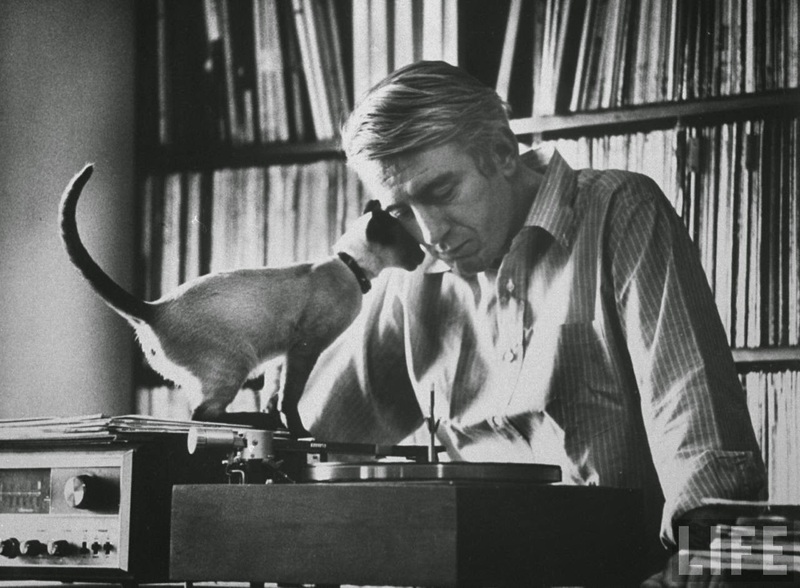 P&PC: If someone liked McKuen, what else would you recommend they listen to? Noftle: I have lots of recommendations but I'll limit myself to one: the singer Scott Walker (not the Wisconsin politician). 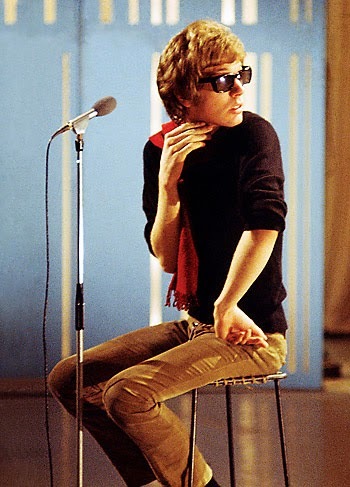 Walker (pictured here) is a generation younger than McKuen but had a similar admiration for Brel. Scott first found fame as a member of the not-actually-fraternally-related The Walker Brothers, a 60s pop group. Walker left the band in 1967 and released a series of astounding orchestral pop solo albums that shared a dark, sardonic tone (Scott, Scott 2, Scott 3, and—you guessed it—Scott 4). "Scott" started out with a mix of Brel tunes, other 60s-era pop and folk covers, and a few of his own compositions. By the time of Scott 4, all the songs were written by him and were peppered with an unholy cast of characters including a fading duchess, a soldier returning from Vietnam, Stalin, and even Death—straight out of Bergman's The Seventh Seal. The songs explored themes of romantic dissolution, decay, and existential crisis but were beautifully sung by Walker and arranged by Wally Stott. Not surprisingly, his teenybopper fan base quickly dried up across the course of those albums and Walker disappeared into schmaltz in the 1970s. But in the decades that followed he began releasing stranger and stranger albums that are very difficult to classify—they're kind of like a marriage between Puccini and post-rock. His current work features a deep soaring baritone, intriguing, obscurist lyrics about topics such as Elvis's stillborn twin and recent genocides in the Balkans, and the musical backings include some very odd percussive elements like the sound of a bag of meat being punched. His most recent album is a collaboration with drone metal outfit Sunn 0))). Far out stuff. P&PC: Twenty-eight albums means a lot of cover art. Anything especially noteworthy? Noftle: Yes. 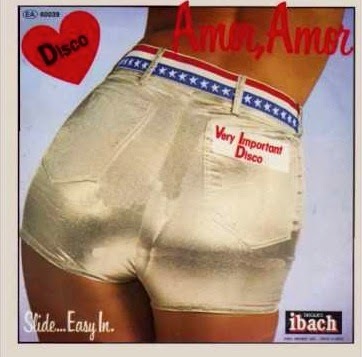 The aforementioned Slide..Easy In album's outer gatefold (pictured here) is a muscular, hairy, man's arm reaching down into a vat of Crisco whose "Cr" has been changed to a "D" to read "Disco." Very clever. Oddly, it was released with an alternative cover featuring a blonde lady in silver lame pants (pictured below). Um, I have both versions. 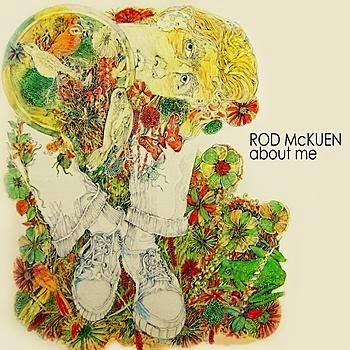 The album Rod McKuen Takes a San Francisco Hippie Trip both lampoons and perfectly captures the day-glo popular at the time. It's a real wonder. But there are several gems. P&PC: Your faculty profile says you're a personality psychologist and that you're interested in questions like "How do individuals differ psychologically from one another? ", "How consistent are those differences across situations and time? ", and "What meaning do these differences have for people in their actual lives—for achievement, relationships, and happiness and well-being?" What perspective does this give you on McKuen? Noftle: I'm not sure—personality psychologists rarely do case studies these days. But I would say that from the standpoint of his music and spoken word, McKuen appears to be remarkably consistent; despite his genre exercises, he has a certain style and personality and worldview that are captured in that style, and those things don't seem to change much. But people are remarkably complex, and I can't say that I know enough about McKuen to say much more about who he is. His 1972 Pickwick album About Me (pictured here) suggests he lived a really interesting life full of adventure and wonder and hardship. It turns out I have two copies—I'll loan you one. 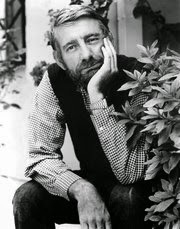 P&PC: Quick McKuen quotation analysis: "I had a pet raccoon that took my toothbrush once, / But only to another room." Noftle: I'll follow McKuen's lead. 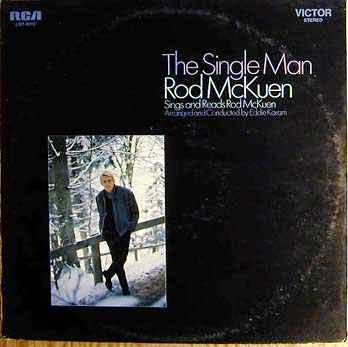 "What I have to say about this album is on the record—I hope you like it.—Rod McKuen, London, June 1968" (liner notes on the back of The Single Man, RCA, 1968). P&PC: Touché! Where does your collection go from here? Noftle: Onward and upward—and if Jess has anything to say about it, it might float away in a hot air balloon. P&PC: This was fun. In McKuen's words, "Thank you for the sun you brought this morning / even though the sky was full of clouds." Noftle: Yes indeed, but I also feel like I've just gone through something. I will return the favor: "Soft. Listen to the warm. The night is almost gone. 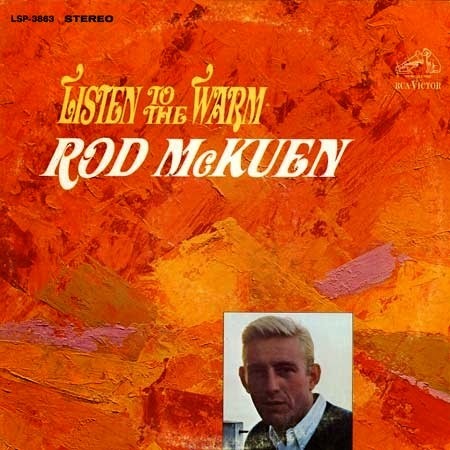 We can listen to the warm" (McKuen, Listen to the Warm, RCA, 1967). 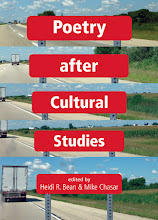 Editor's Note: Noftle's McKuen-themed homage to the cover of Dylan's Bringing It All Back Home pictured near the beginning of this posting was made possible in part by P&PC contributor and organic chemistry consultant, Drew Duncan, who served as photographer.